The Veteran Flag Case is made in America of hardwoods with the finest fit in the industry. Glass front and wall mountable. 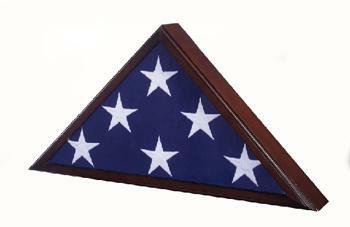 Cherry case displays 5x9.5' burial flag.